Our 18U boys played very solid ball to win the Silver medal at the Florida Fest in Daytona Beach this past weekend. 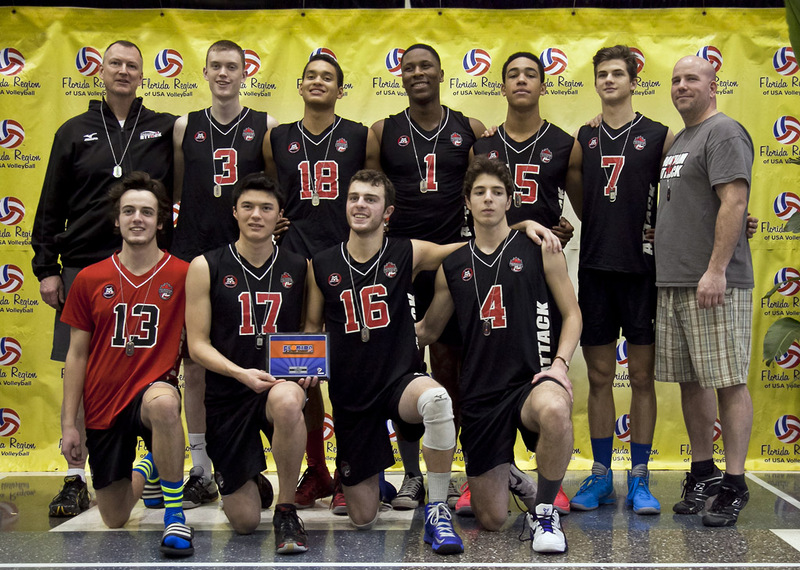 As Silver medalists they have also been awarded a bid for the US Junior National Championships in the summer, which we unanimously accepted after consulting school exam and OVA schedules. As we predicted, the final was two point games. Unfortunately our guys came up short 24-26 and 23-25. For the next few weeks we will be focusing on the little things that earn us those few points required to win at this level. We were well prepared to play, as a local high school we contacted (Spruce Creek) was gracious enough to allot us practice time in their gym. Spruce Creek is one of the top rated high schools in the US, with the third largest International Baccalaureate program in the world. We practiced in their gym as classes observed, we scrimmaged with intermixed teams, and our coaching staffs meshed and both of us came out better for the experience. And some of the Spruce Creek contingent supported us through the weekend. A special thanks to Cara and to Pierce for the role they played in our success this weekend. Like last year when our 18U boys dominated pool play but lost in the semis, the convenors told us we were the talk of the tournament. Unknown to other teams, we quickly became the team to watch, with the spectator count growing each match. We played strong teams, but powered through pool play. We had a tough loss in the final match on Day One when we shocked Vanguard (Columbus OH) first set, should have won second set but lost 26-28, and lost the third. Great team but the outcome didn’t exactly reflect the play on the court. Oh well, beyond our control, on to Sunday. Finishing second in our pool gave us a tough draw Sunday morning, San Juan Puerto Rico, a very talented team whose record was similar to ours and who was the tournament favourite. The final point was a controversial call but the San Juan coach was so gracious as to extend his hand under the net to shake hands and dispel any controversy. 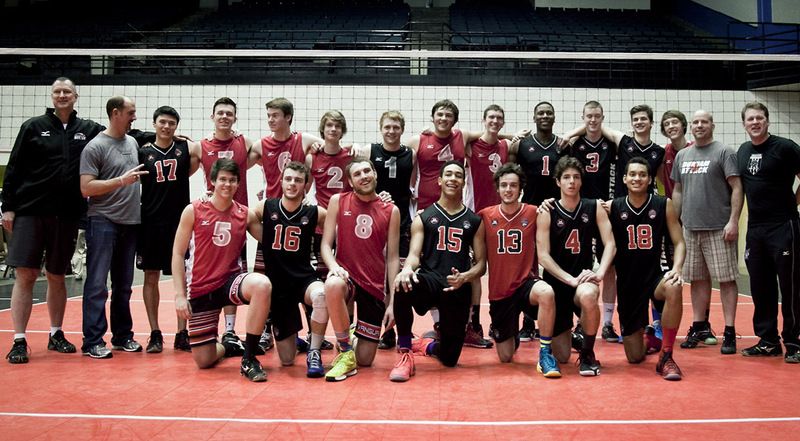 We had won a very toughly fought match in 3 to advance to the semis, to face Tampa Bay, who won 18U last year. Tampa Bay takes the court with attitude and music and theatrics, but we have seen that backfire before. We won the first set and another tough match 15-10 in the tie-breaker to knock them out and advance to the final. In the final we faced Vanguard again, and we told the boys these would be two point games. And they were. We played well, but they made fewer errors, and we lost 24-26 and 23-25. After the match, we asked Vanguard if we could have a joint team photo, and they were thrilled, as none of their opponents had ever asked to do that before. [As a parent with kids playing at this level for 9 years this is really foreign to me, as my kids’ most valuable and enduring friendships are with their arch rivals.] The previous match was so intense that we had become friends with some of the parents, the Vanguard players cheered for us in the semis, and are happy we will be going to USJNC in Houston with them. This is what competitive sport is all about – earning respect and making friendships. It was a very solid tournament for 18U Black. We represented our club and our country extremely well. It reinforced the fact that at this level we’re preparing for and planning to win two point games, as that is all that separates the athletes. And we’ll be working on what it takes to get those extra two points. This was a USA Volleyball bid tournament, meaning the top teams are offered spots in the US Junior National Championships in Houston. We have accepted the bid we were offered, and will be competing against the best in the US in Houston in late June/early July. *A big thank-you to Rehab Nazzal for the great pnotos.